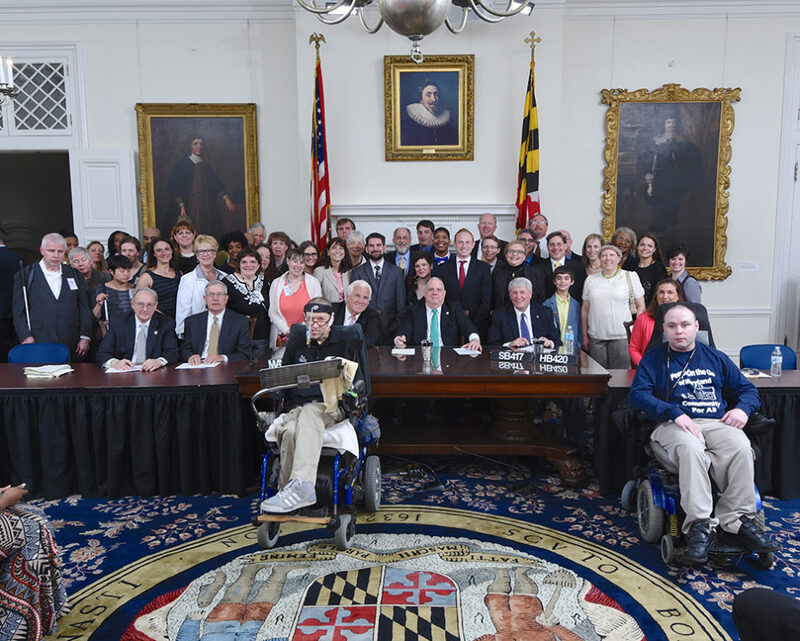 The Ken Capone Equal Employment Act (EEA), named for DRM Board member Ken Capone, will abolish the payment of subminimum wages to people with disabilities inMaryland by 2020. The legislation makes Maryland the second U.S. state to eliminate this discriminatory exception to Section 14(c) of the Fair Labor Standards Act of 1938. The EEA will phase out “sheltered workshops” that pay people as little as pennies per hour and require the Maryland Department of Disabilities and the Developmental Disabilities Administration to implement a 4-year transition plan to move individuals from segregated day programs to competitive integrated employment. Each individual currently making less than minimum wage pursuant to a 14(c) certificate will receive an individual plan for the phase out. DRM participates on the Employment First Steering Committee that is developing the policies and infrastructure to support transition to competitive integrated employment.